Discover The Artists is an exciting new art event which will be held on August 24th and August 25th 2018 at the Stroud Subscription Rooms. We have asked both professional and “up and coming” artists if they would donate an original piece of work that will be signed by the artist on the back; only when a piece of artwork has been bought will the buyer be able to discover who the artist is. 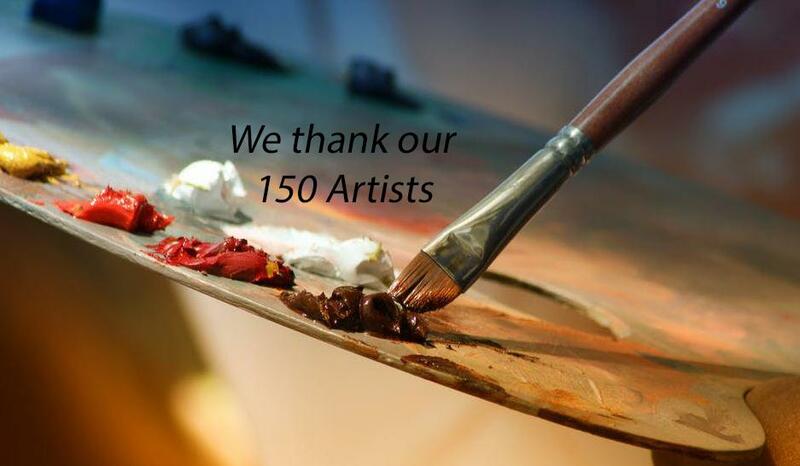 We thank over 150 artists who have agreed to join us on this exciting project. We have received so far over 200 pieces of A5-size (6” x 8”) artwork donated by a wide range of stunning artists. The artwork is displayed on the Nailsworth Rotary website, and will also be shown at the Stroud Subscription Rooms before the event. The artwork will all be sold for £40 each, and will be sold on a first-come first-served basis. The event is being hosted by Nailsworth Rotary Club and 50% of profits will be given to Rotary charities and 50% to the local art community. The art will all be on exhibition, for preview only, at the Stroud Subscription Rooms on Friday 24th from 9am - 5pm, and on Saturday 25th from 9am - 1pm. The sale will take place at 2.00pm on Saturday 25th August. Would you like to buy an original painting for only £40? If you would then view all of the artwork which will be sold on our website. If you would like more information regarding the event please follow our Facebook page or our website.